If you have a tooth that has suffered damage, is inflamed or infected, having your dentist do a root canal may save your tooth. Thanks to recent advancements in technology, root canals at Advanced Dental Care of Anderson are faster, easier, and more pain free than ever. * It is important to note that sometimes signs are not present. Root canal therapy is a treatment used to repair and save a tooth that is badly decayed or becomes infected. Without treatment, the tissue surrounding the tooth will become infected. 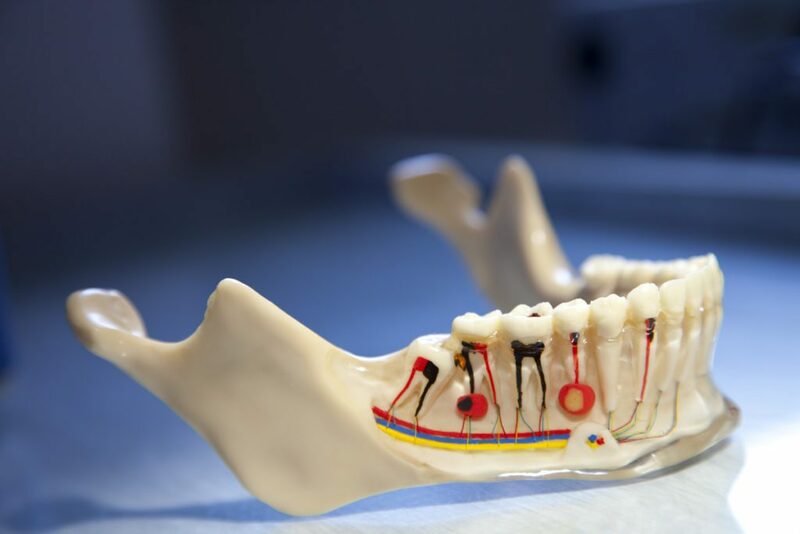 In order to save the tooth, the living tissue inside the tooth (the pulp), nerves, bacteria, and any decay are removed. The space left over is filled with medicated material which restore the tooth to its normal function. In order to minimize pain, the dentist will first numb the area that is to be treated. They will then proceed to remove the infection or inflamed pulp, fill the remaining space and seal the tooth. Prior to the appointment, try to avoid all foods and drinks that are either hot or cold and all snacks that are hard to chew such as gums and hard candies. What if I just have the tooth removed without replacement? Some patients believe that removing the tooth without replacement is the best solution. If you only extract the tooth the procedure might be more costly and cause significant problems for adjacent teeth. Root canal treatment is highly successful and usually lasts a lifetime!